This week's gallery theme is 'Men'. Let me introduce you to the men in my life (there are many, but not in that way... in the all-male career kinda way). Firstly, there is Mr. B. You may have read about how we got together. 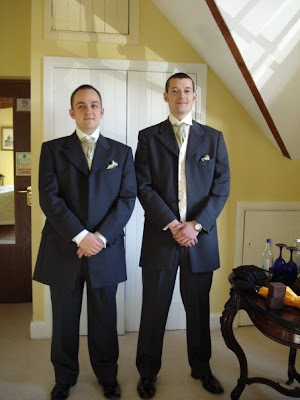 Here is is pictured on the left with his best man shortly before I became Mrs. B. He looks a bit terrified, doesn't he? 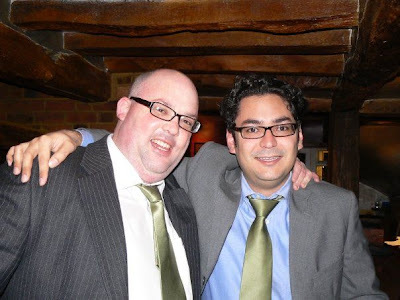 And now meet my mate of honour (I believe you've met him before here and here) and my brother-in-law. This picture was taken on the same day after one or two drinks had been consumed.